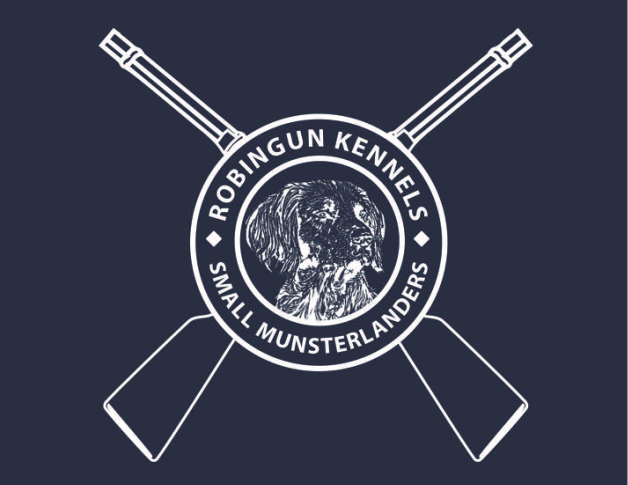 "one of the most talented Small munsterlanders i have seen"
Branka is a wonderful SM that exemplifies what the breed is all about. 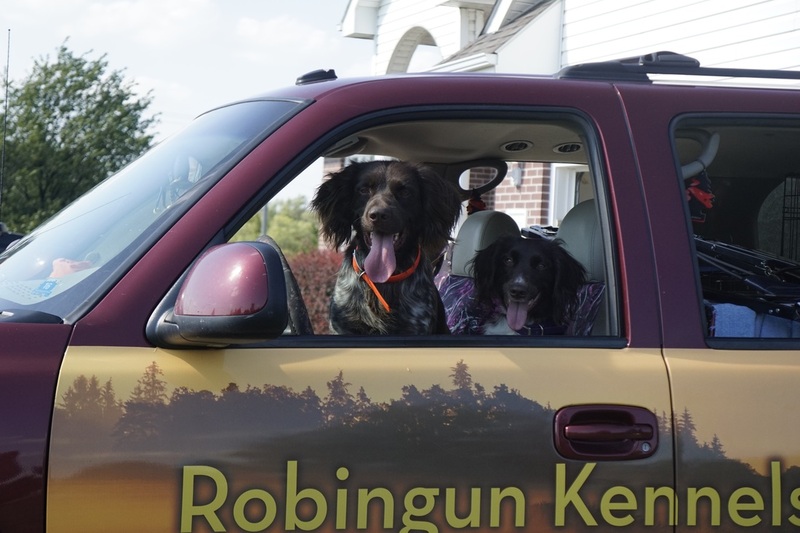 She has excellent conformation and coat and she amazed us with her natural talent starting when she pointed and retrieved her first wild pheasant at four months of age. She has been easy to train, loves to work and is a calm pet in our home. She passed her NAVHDA Natural Ability AND the Utility Preparatory Test before she was 11 months old! 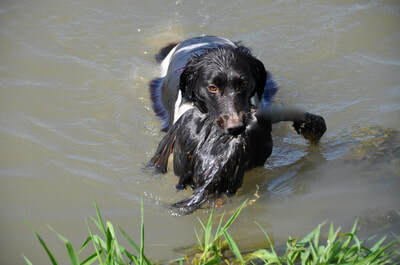 She always goes into the water and then she is off searching for ducks. 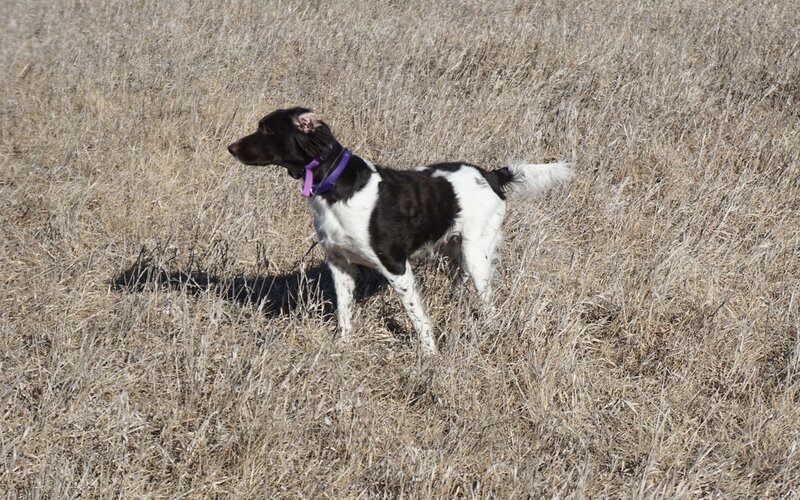 She has a lot of drive and stamina in the field with a staunch point and a natural desire to retrieve. 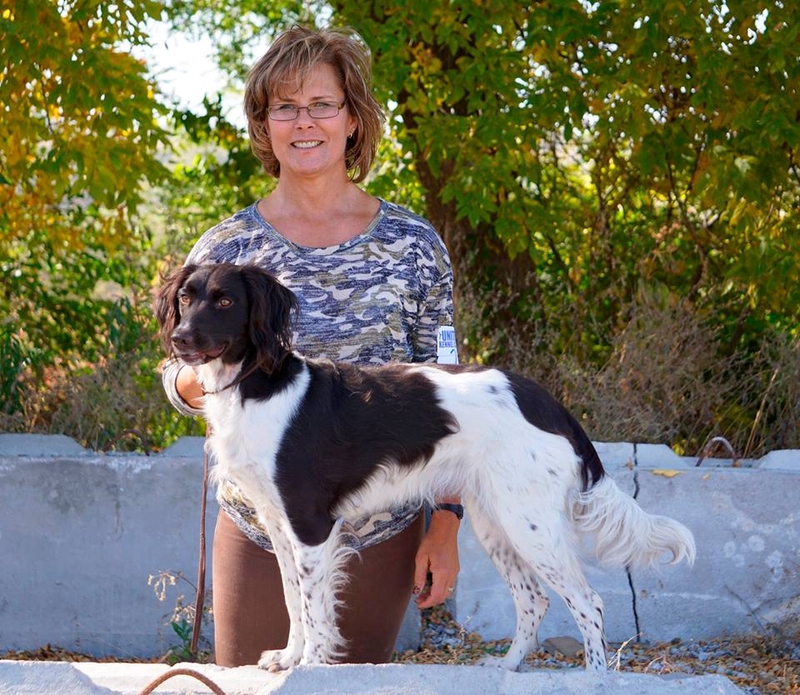 There were only two pups born from our "B" litter so Branka and Pam have formed a very special bond. Branka looks a lot like her sire, the German male, Iros vom Kiefernwalde. She has been a very easy dog to train because of her inherited hunting skills and her strong desire to please us. 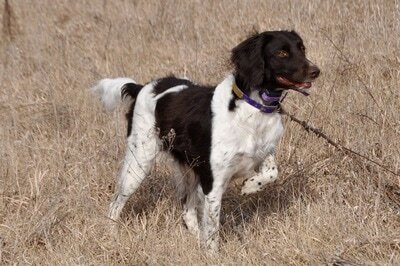 Branka whelped our NAVHDA/SMCNA Breeders' Award Winning "F" litter that produced our female, Tevah. She had damage to her uterus from her first litter so we only got two pups from her "H" litter. In 2017 she whelped our NAVHDA/SMCNA Breeders' Award Winning "J" litter that produced five pups and in June of 2018 she produced her last litter of three male pups. 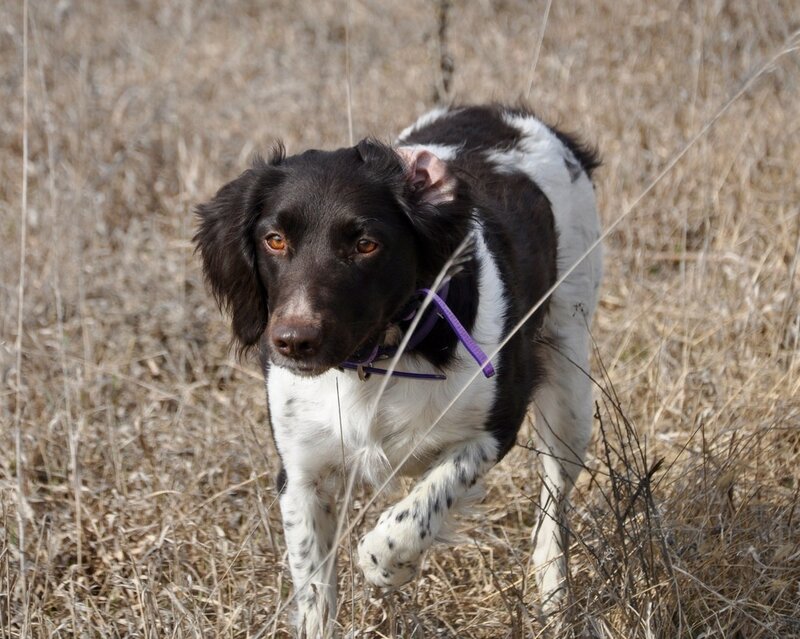 Branka will no longer be a breeding female for us but she can now look forward to training, testing, hunting, and guiding with Pam. We are very fortunate to have her daughter, Tevah, and her granddaughter, Lyssa, to carry on Branka's wonderful genetics. We will be UT testing Branka in 2019.